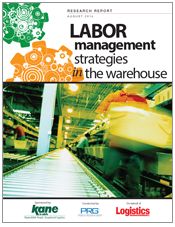 KANE teamed up with top supply chain researchers, Peerless Research Group, to survey logistics executives on the strategies they employed for managing labor in the distribution center. The results of that research are summarized in this report. Check out what your peers are thinking and doing in this critical area.